Welcome to the Holy Resurection Greek Orthodox Church in Bluffton, South Carolina We are a mission church serving Pan-Orthodox community. Many nationalities make up and represent our parish family: Armenian, Bulgarian, Greek, Lebanese, Palestinian, Romanian, Russian, Serbian and Syrian. 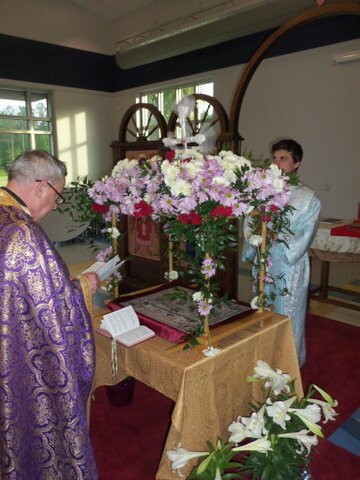 The Divine Liturgy is held in English.Orthros starts at 9:30 and Liturgy starts at 10:00 a.m.
We are an Eastern Orthodox Mission Church located at Saint Andrew's Chappel at 220 Pinckney Colony Road in Bluffton, SC. From Hilton Head Island headed West on William Hilton Parkway (Route 278). Follow highway past Rose Hill Plantation entrances. 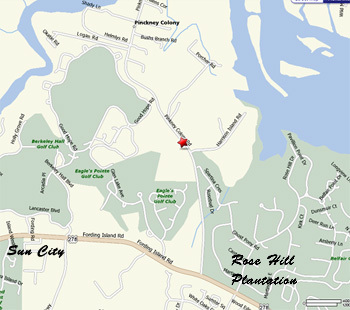 Old Pinckney Colony Road will be the first right after the Rose Hill Plantation entrance. Stay on Old Pinckney for about 1 mile. The Chapel of St. Andrews will be on your right. From Hardeeville headed East. Follow Route 278 east. Old Pinckney Colony Road will be on your left just before you get to Rose Hill Plantation.